Detroit – considered by many to be the birthplace of Techno thanks to the early music of Juan Atkins, Derrick May, Kevin Saunderson and a host of other electronic music producers based in the great city. The sound is predominately electronic, with heavy use of analogue synthesisers, drum machines and samplers. This sample pack recreates the sound of early Techno and fuses it with today’s production standards to bring you a collection of sounds tailor made for modern dance floors. 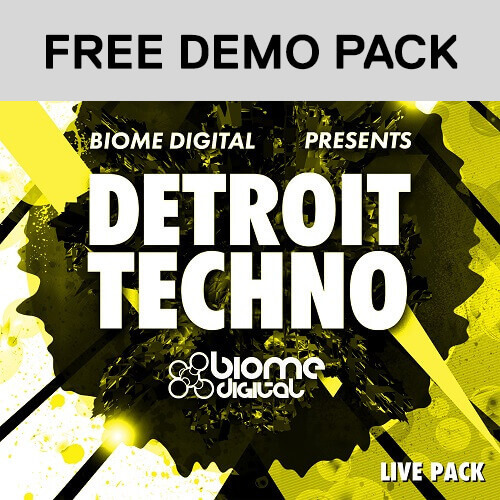 Featuring everything from punchy piano loops, oldskool strings, pounding drum machine beats to grooving analogue basslines, twisted acid loops and intense sound effects.